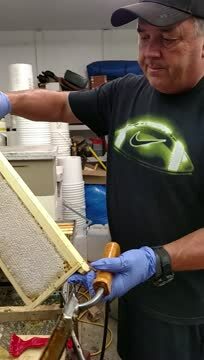 The video below shows Walt Stephen CEO of Stephen's Orchard extracting honey from a bee frame. 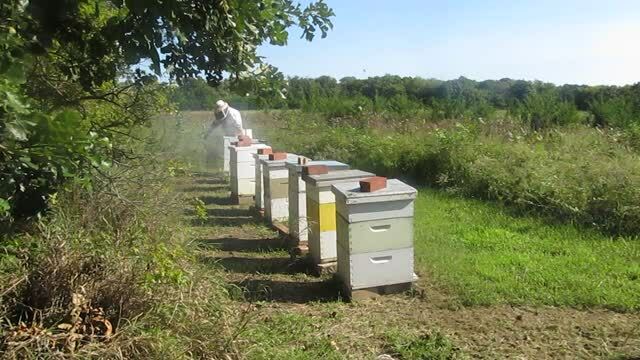 This is how Stephen's Orchard & Apiary provides all natural raw honey for customers every year. Walt Stephen CEO of Stephen's Orchard and Apiary is explaining about releasing Queen Bees in hives and what supplies you will need. Walt Stephen CEO of Stephen's Orchard & Apiary provides information about queen bees. 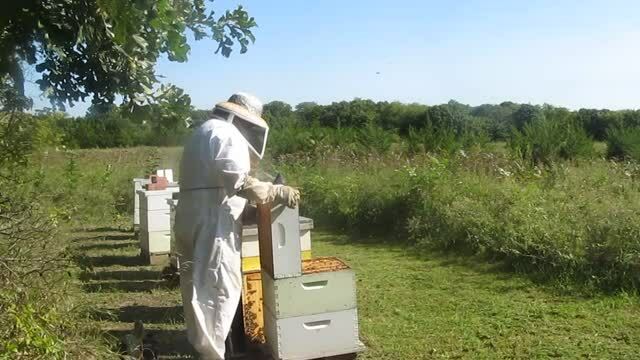 Walt Stephen captures a swarm of bees at Stephen's Orchard and Apiary. Walt Stephen smoking the Bees before taking the fall honey in Lawrence KS. 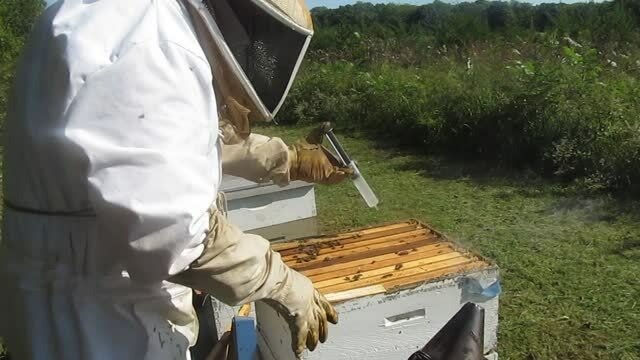 Smoking calms your bees while you inspect them. The smell of the smoke makes the bees think that their home is on fire and they instinctively start their fire drill. 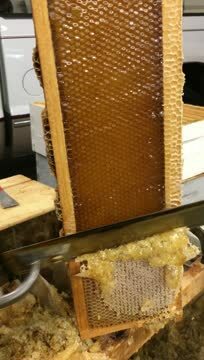 Instead of defending the hive, they start to eat honey in order to prepare to leave and find a new home. After we have carried out our inspection and stop smoking, the bees will return to normal. Treating the Bees for varroa mites. Varroa destructor is an external parasitic mite that attacks the honey bees Apis cerana and Apis mellifera. The disease caused by the mites is called varroosis. Varroa mites can only reproduce in a honey bee colony. If we don't treat for this little parasitic mites the colony will die. 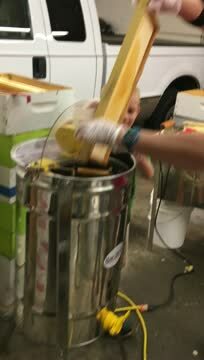 We are training up the next generation right! Noah age 8 learning how to extract honey and how to become a beekeeper. We are so proud of him!